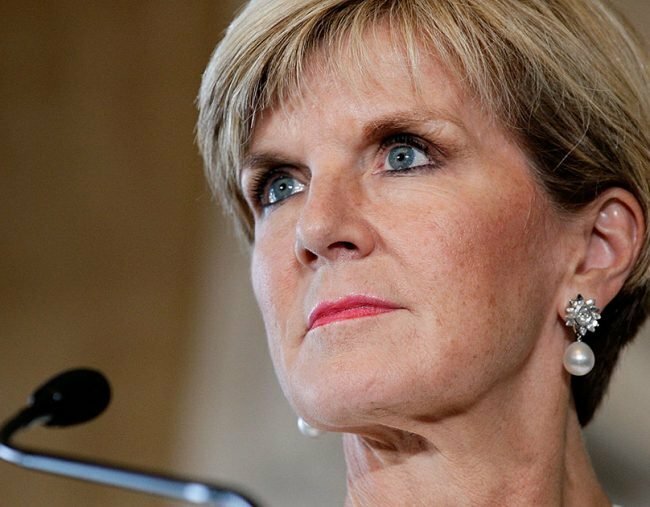 Julie Bishop news: The Liberal MP has resigned as foreign minister. Julie Bishop is expected to quit as foreign minister under new Prime Minister Scott Morrison, but will stay in parliament until the next election. Perth Now is reporting that Ms Bishop has decided it “is in the interests of the nation” that she retire as a minister. Fairfax News says she’s expected to announce her decision on Sunday. Ms Bishop, 62, was deputy Liberal leader for more than a decade but she only received 11 votes in last Friday’s leadership ballot after Malcolm Turnbull called a spill. The long-serving foreign minister returned to Perth on Saturday. “I am going to consider all my options and I am going to focus on running (in the City to Surf),” she told the Sunday Times. Education Minister Simon Birmingham earlier on Sunday said Ms Bishop was “the most significant woman in the history of the Liberal Party” and deserved to make a decision about her future without external pressure. “We would love to see Julie continue, but that really is up to Julie,” he told the ABC on Sunday. New prime minister Scott Morrison, who won the leadership ballot against Peter Dutton, is weighing up his new ministry to reunite the Liberal party. Senator Birmingham says he loves the education portfolio but is leaving the decision in the new prime minister’s hands. Josh Frydenberg was voted in as deputy leader by his colleagues and given the treasury portfolio on Friday. Mr Morrison has made no other appointments yet, but has indicated Mr Dutton and former finance minister Mathias Cormann would be welcome back. Senator Cormann’s decision to withdraw support for Mr Turnbull is widely regarded as the turning point which led to the second spill. Mr Morrison and the senator, who was also the government’s leader in the Senate and chief negotiator with the crossbench, were photographed at work on Saturday.